Tennis court construction - InterHall Sp. z o.o. These types of surfaces offer excellent playing conditions and are much more durable in unfavourable weather conditions compared to other solutions. We provide a wide range of tennis products including those with and without quartz sand filling. All our products are manufactured in Europe and have been awarded ITF certificates. We especially recommend the artificial grass-based product, which simulates playing on crushed brick – Artificial Clay. Artificial Clay provides exceptional comfort when playing tennis. It guarantees excellent traction, while the special filling ensures stability when lunging towards the ball and sliding. 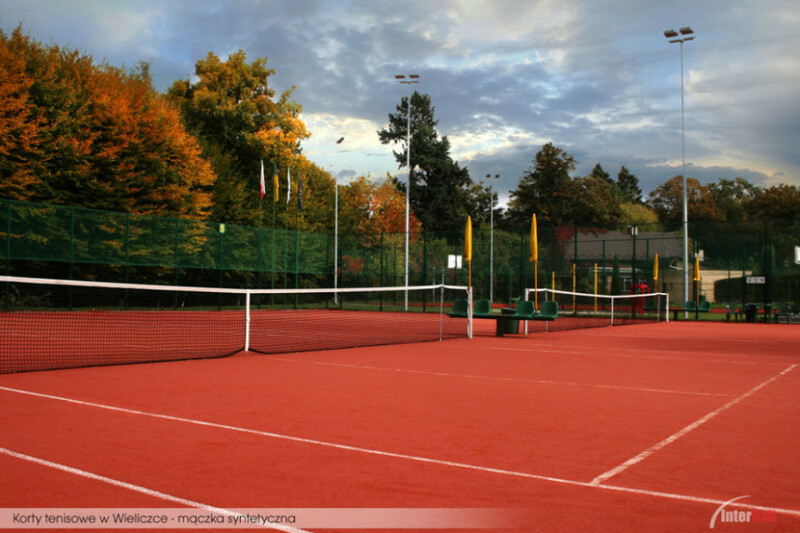 The primary advantage of “artificial clay” is that it combines the excellent playing quality of crushed brick or clay courts with the functionality of synthetic courts. 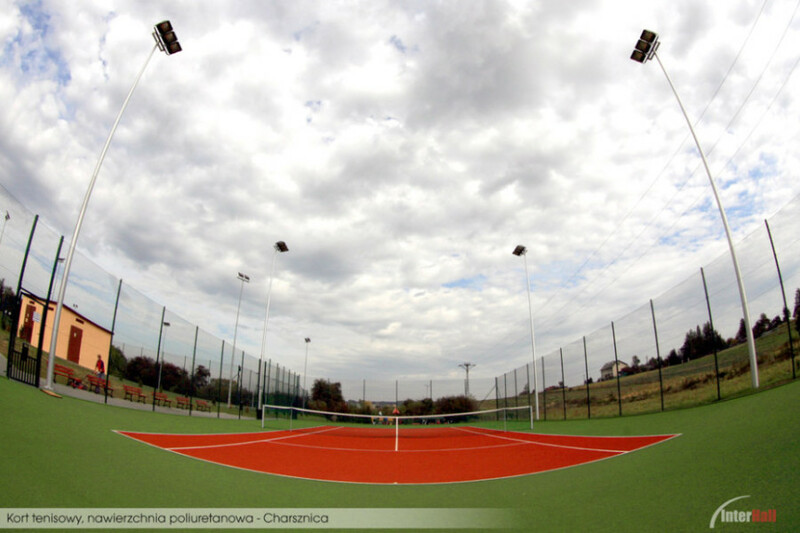 We have executed Poland’s first breakthrough artificial clay tennis courts in Bytom, at the GÓRNIK BYTOM club. The following two were built in Wieliczka, in the Mickiewicz Park.